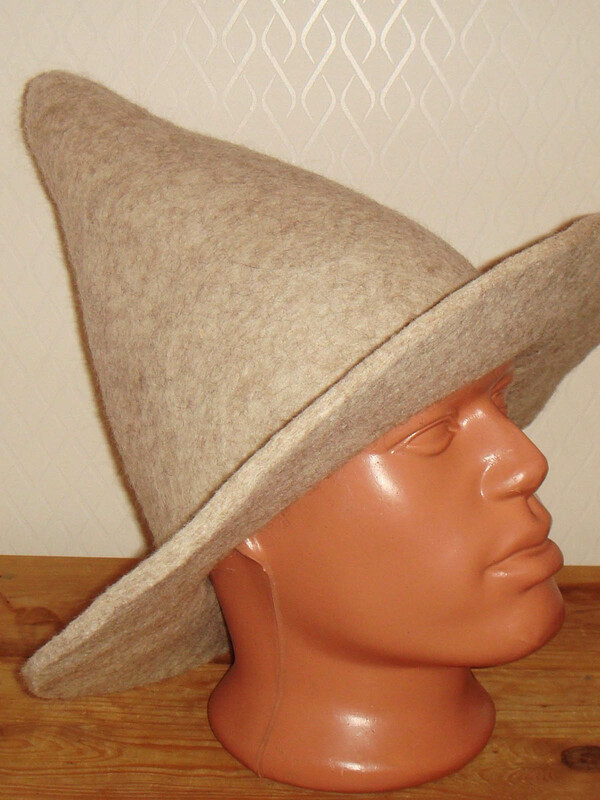 This fulled cone hat with wide brims will be a great addition to your costume of wizard. 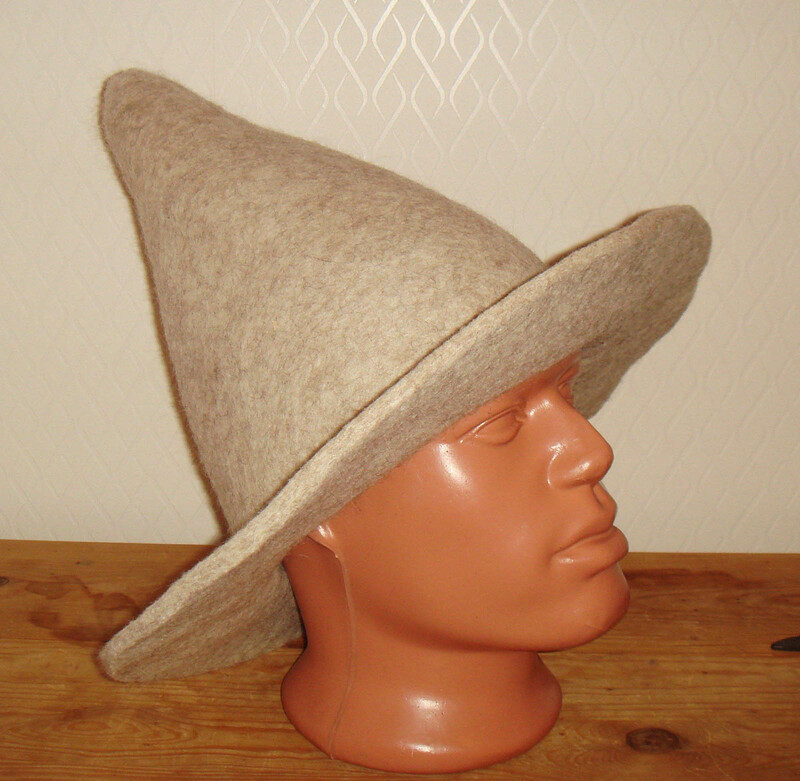 Hat is custom-tailored and handcrafted. We use only natural materials for manufacture. Please choose the wished colour in options.